Who among us doesn't have THINGS -- stuff, possessions, treasures, heirlooms, archives -- stashed in barns, attics, basements, closets, and/or storage units? 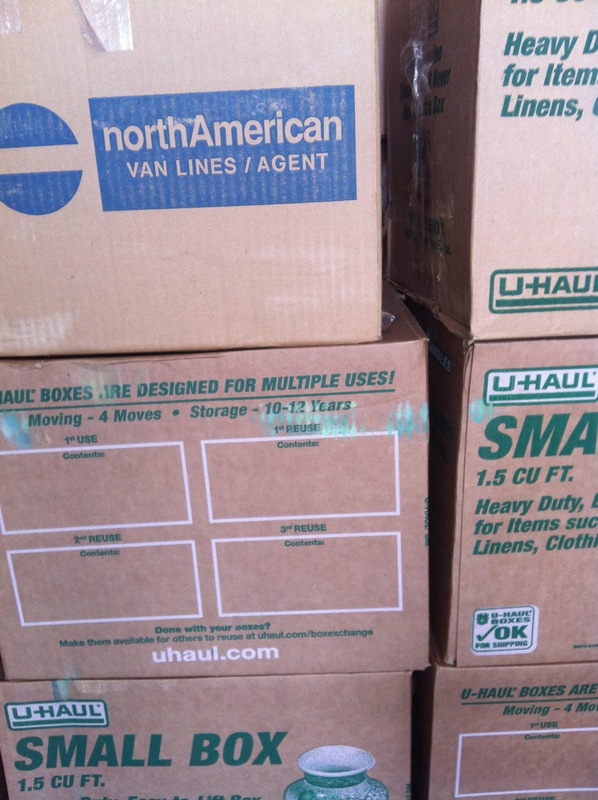 I was a harsh judge of storage unit renters. Until now. I moved this year and radically downsized living space before taking the time to deal with years of accumulated stuff. So, I rented a storage unit and piled it in there. I am now living the life of having more barns for my possessions. The congregation I serve now has multiple buildings in two different locations in the city. Like other possessions, land and buildings are more to the owner than the stuff they are made of. They are history and home and places of ministry -- past, present, and (possibly) future. How many bookcases does it take to hold all the pastor books? How challenging is it to keep and store the sewing stuff, the yarn stash, the tools? I wonder if Jesus is talking to us about our possessions or our preoccupations? Maybe the caution is not about the stuff, but rather what all that stuff represents in time and energy invested in accumulating (whatever), leading up to needing someplace to put it all. Are you preaching on the Lectionary Gospel text? Let's share what we have -- like snacks and cool drinks and sermon illustrations. Enjoy this place of companionship and inspiration and laughter and prayers as we get ready for Sunday. So happy we are here together! For the family service, I will do some variant on filling up a vounteer's hands and then demonstrating that s/he can't take something even better when I offer it...in this case, probably a very special stone heart that I brought back as a gift from our sister parish in Haiti. Short and easy. I have been gone for 3 weeks while Ihad surgery and ended up being diagnosed with thyroid cancer. I am now back for two weeks and then will be having surgery again and out for several more weeks. There may be a visitor or two who doesn't know, but basically the whole congregation is aware of this. I didn't intend to give any of it much attention in the sermon, but I have found the surgery part to be the perfect opening. First I had to leave my purse and jewelry and such at home...items it is very odd to leave the house without. After registering, I handed over my insurance card, ID, and phone to my husband. Then I had to trade in my clothes for a gown. Finally, I had to let go even of my consciousness in the sleep of anaesthesia. Talk about being reminded that at some point, all any of us has is God having us! We all surround ourselves with the protection of status or job or belongings or bank account. Some of these things are even very good. But at some point, age or illness or calamity can strip them away, quickly or bit by bit, and it's just God and us. So, I will use my recent experience as an opening to explore the gospel, which is very often my approach to preaching; I simply have to be careful that I keep moving the sermon toward the scripture and a bigger truth, not all about me. At the very least, it will be short--probably very short--because my voice still wears out easily and I have 3 services to lead and preach! Betsy, what a poignant and wonderful way to open the Word. Praying for your stamina and future treatment. Prayer for you Betsy, in this new journey. Praying for you and for your congregation. MAy you have the strength and patience you need for the next part of treatment. Adding my prayers, Betsy. That's a gorgeous illustration. My own surgery this week was oral, therefore more inconvenient than worrisome, but the same ideas apply. What are we holding onto? Betsy your plan is both powerful and wise. Puts it right out there. With the others, am holding you in thoughts and prayer as you move through those three services and the week ahead. Betsy, prayers. what a wonderful illustration. It is one that most can identify with. Peace. Beautiful opener Betsy - and good on you for being so open with your people. Our pastor had thyroid cancer about 10 years ago and we did our best to walk through it with him - as I'm sure your people will do for you. I love your visual story, and your own story is VERY powerful. Prayers from my corner of the world on your behalf. Deep peace! first Sunday back after annual leave, 3 Sundays without preaching, and all day today at a meeting. having trouble getting into the groove. I have an idea of where it is going, but the words aren’t flowing, or even trickling. I am thinking of using some slabs from 3 years ago, maybe at least that will get things started. Service prep finished, and only 10pm!! I copied the previous sermon, then didn't use any of it. I have included a document for the beginning of the UCA, which accounts for about half the words. what caught my eye/mind in reading the gospel section this time was the cinversation the man had with himself. Spiritual direction peer supervision meeting this morning, funeral this afternoon, church event tonight. But -- my sermon is outlined and on my ipad mini for my first ever preaching from that handy little piece of technology! I love preaching from iPad, however, and use it every Sunday. Hope you do too. I don't know what any of that means. Stable? I saved it in Pages, so I guess I'll hope for the best. If I lose it, I'll wing it. Good to know that that might happen! Robin, Pages is stable enough ( it won't get lost) but it is very easy to scroll further than you wanted to. I usually send mine to my Kindle emil and then open it on the Kindle App on the ipad so that I don't lose my place. Thanks for the tips, ladies. I have pondered doing this so am wondering: do you use Pages on the iPad (or mini) to do the writing? How is that as an app (I am only sort of familiar with it on my MacBook)...does it work well? I like the PDF idea; can you save it in that format on an iPad? Any other tips? Hosea 11 always speaks to me of our Mothering God. This time I begin with how much I/we need her after the sorrows of this summer in particular. I also look back at some of our social and legal reversals and those impending: juries acquitting men with white privilege of killing black boys, dismantling of voting rights and women's rights. God tells Hosea that Israel (Ephraim) is going back to Egypt - Egypt! We can't go back there! But we will. Some will. It will be a different trip, with a different outcome. We and Egypt have changed. Those who go to Egypt will be saved from Babylon. Shouldn't have to be that way. but sometimes we go back to go forward. And wherever we go, our Mothering God goes with us. I love this "sometimes we have to go back to go forward," maybe in part because that is precisely what I am facing personally right now...and it is very comforting to imagine the Mothering God right there with me. The cyber-gremlins are at work this a.m. I can't reply to your individual posts, and this one keeps getting eaten before it's done. Betsy, thank you! Your witness is/will be powerful in your congregation. You journey with our prayers and love. And . . . you have already influenced this preacher to go ahead and address a death that happened this week among the congregation. This older (93!) gentleman -- very beloved in our congregation, a legend in New Orleans -- was in church Sunday being his usual wonderful charming dapper self and Monday morning was found collapsed on his kitchen floor. His death is shaking this congregation. The refrain in my head right now is "What are you saving it for?" Waving to Pearl across the world and the time zones! Many blessings as you get back into the groove. Robin, have fun with preaching from your iPad mini! I love using my Kindle for preaching; it seems to free me up. It also gives people the impression that I am techno-savvy and up on all the latest. Not altogether a false impression! I bet you will get some good comments from folk. To go with Pearls fruit and oat slice, help yourselves to some fresh French market coffee! So sorry about the inspiring man in your congregation. What a great question--"what are you saving it for"
The loss of a beloved patriarch, especially so suddenly, is always a shock. I bet people will be particularly open to hearing the question of "What are you saving it for?" on this occasion; we so often neglect to even notice that we are holding back. Good morning, Wil! Powerful and uplifting and challenging words from Hosea, and from you. And -- yes -- comforting. Much needed in the midst of too much "going back there" to places we had some reason to hope we would not revisit. I'm feeling really stuck. Part of it is my conflicted socialist beliefs in a capitalist society in a reality where I really do enjoy having "stuff"--part of it may be having a 12 week old and really feeling a bit disconnected (my sermons have been fine, but are missing some of the oomph I usually have). We have late breakfast with friends in a bit and then I plan on heading out of the house to actually work--in the meanwhile I will be contemplating the social science context of the Gospel--a world where accumulation of excess was seen as theft, because in a world where resources are finite, having more than you need means that you are taking from someone else. Let us know how it comes along as you go. Blessings upon you and that sweet 12 week old! With. 12 week old, you are doing well to get up and dressed and have your teeth brushed :-) I hope the writing goes well and quickly so that you can have some relaxed time today. ack, not sure how I managed to write too many words...since I'm still uncertain. sigh. Good morning! We have farm share cantaloupe and fair trade coffee (too much!) at our house and are happy to share. My week was interrupted, as mentioned above, by some oral surgery. I'm trying to remember the train of thought I had on Wednesday morning and grateful I made some notes and got the Communion liturgy together then. There are five more Sundays in my sabbatical coverage, three of which I am preaching, so I have a feeling of winding down. It's time to start reminding them of the pastor who will be returning, so that's all on my mind this morning. I'm very excited about the prospects for ministry with RevGalBlogPals, but also wondering whether I'll supply (or whether I want to) and what part in my future life preaching will or won't have. Too much thinking for a Saturday morning -- it sounds like a procrastination rabbit hole! Back to it. Procrastination rabbit hole, indeed. Still, it's a multiple transition: for you ending that ministry, for your colleague returning, for that congregation, and for us here at RevGalBlogPals. You are in all of those. There would be some thinking that goes with that. Glad you are on the mend, Martha, and thanks for the coffee and cantaloupe! Ouch on the oral surgery! And blessings on the journey that is taking new twists and turns right now; those switchbacks, where you can only see where you've been and not so much where you are going, can be interesting times, in all sense of the word. But in the meantime I really need to find some words for the adults! I'm talking about the ways in which greed can make both money and our selves into idols... Need to draw the good news of grace out a bit more explicitly... Yep, best get down to work! Good evening to you, Jemma! Love the ice cream story. Thanks for the reminder about the good news of grace. That seems to be so hard for me to remember when I am so busy pointing out (to myself and others) what we could all be doing so much better, more quickly, and all that! Jemma, that book sounds great; I am going to see if one of our libraries has it, because then I could have someone else read it and save my voice. When I read your comment about greed making idols out of money and ourselves, I didn't have my glasses on and read it as making idiots out of us...which may be true too! there are some YouTube videos of people reading the book--it is adorable. Thanks for mentioning it! It is hard to preach about turning money into idols but a few statistic about what the western world does with consumerism might be a help. This makes me laugh because my three year old has the wonderful ability to stop eating when he's full and proclaim that he's going to "save it for later"--which is all well and good (and commendable) until it's the ice cream sandwich bought at the beach concession. Another good ice cream story. Thanks, Estelle! all, I am just back from three Sundays off for a California StayCation, and my seminarian is preaching tomorrow...so I will give thanks for one more Sunday of the gift of receiving a preaching, and will pray as you prepare. I learned about a tech tip I plan to try next week: I serve a congregation who still does not have the capacity to record sermons. A friend recommends the "soundcloud" app...it looks fairly easy to use and transfer to a website. I will let you know! Receiving preaching is always a treat for the preacher. Thanks to Stacey, let the Croissant and Tea Break begin! Stacey, I love, love, love that you are joining in this conversation and coming to the party with your special tea. It feels like we are by the bay enjoying a conversation about things important to us. Yeah you! And I love that you are here, RevAlli! Hubby is at work today, :( so here's hoping the boys will be easy maintenance. Hope you hare having a productive day, Tracy! ACK! I have way too many pages of notes for a tiny 800 word homily. I think I am going with the Hosea text and tying it to the Gospel around the idea of God's faithfulness to us and our faithfulness (or lack thereof) in return. And, I am considering going at this text from a very personal point of view, reflecting on my recent trip to Utah and time spent with family - about how hard it is to maintain relationships when one has spent 47 years living far away - the idea being that relationships need to be nurtured - God seeks to nurture God's relationship with us, and how are we nurturing our relationship with God? That sounds really good, Terri. Telling your story will encourage them to make connections with their own. Yeah, that is about where I am today. Too much paper and not enough content. It is WAY TO HOT here (high 90s) and I am prevaricating ! I have 1500 words, which is about right, but I'm still not sure what my point is... or at least I'm not managing to put it into words. Fruit sorbet to share for others suffering from the heat ! Prevaricating sounds like a good thing?! There is a point in there somewhere. Stay cool and thanks for the delicious sorbet. After an hour in the garden under a tree to cool off, my sermon nox has a point - though I'm still a little worried that I'm letting what I WANT the text to say get in the way of what it DOES say. Letting it rest now by getting my stuff for children together - just ordered takeout pizza for tea because it is too hot to cook. Here's what I miss most about Portland on a Saturday morning: The Holy Donut. No donuts in PA? Or just no good donuts near you? All that, and lukewarm coffee. 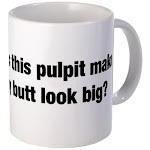 Not ideal for sermonizing. Grocery store donuts or Dunkin Donuts, but the latter is way on the other side of town. I lived near everything interesting in Portland. I've got a start, though. So all is not lost. Tomorrow is our Christian Educator's last day, and it is the day in the hymn series when we have all the communion songs, and of course it's also a communion Sunday. SO...we are having an Instructed Liturgy tomorrow, where instead of a sermon, I've written some "what are we doing and why?" sentences/paragraphs to precede various parts of the service. It feels weird because I'm not actually referencing the scriptures we're reading, though they will be mentioned in the children's sermon and in the communion liturgy. I'm hoping it goes well and doesn't end up just feeling bizarre. So glad you are here, whatever week you are working on. Since I went on vacation for "Whoredom Sunday" last week (and left that to our deacon), I'm looking to compare the "internal dialog" that happens in both Hosea and the parable. One centers on self - the other on extravagant love. Now there's a contrast, Reverend Mom. Hope you had a great vacay! I am so excited about this text and the way it is spurring me on to look at the Gospel through the eyes of community--communities really--communities of discipleship. Trying to remove the scales of the pernicious individualism that permeates our culture. And with a nod to Robert Bellah author of HABITS OF THE HEART who died this week. As I was thinking about this text, it struck me that it's part of Luke-Acts--one work in two parts. There's a parallel to the text we're reading--Acts 5: 1-ll. The story of Ananias and Sapphira who, like the farmer, drop dead suddenly after holding back some of the profits of the sale of their land. I wrote two reflections on the text. My sermon which you'll find here and, if you scroll down, a more personal reflection. Time to turn to household chores. I have some freshly ground Peet's Italian Roast coffee to bring to the party. Thanks so much for all of those gifts, generously given, RevAlli! I'm going with Hosea, and the internal wrestling of God, which made me think of Faulkner's Nobel Prize speech about all great writing addressing "the human heart in conflict with itself"-- which made me see Hosea's gorgeous poem as God's heart in conflict with itself. Playing with the idea of how we're made in God's image, and we also need to wrestle with how to do the right thing, as individuals and a congregation. So, I have some ideas, but need to push through to realize them. I would love to hear that sermon, Kate. Maybe we'll get to see it later? Monday afternoon I got word that our newest part of this church family- Lakin- born 10 days- was airlifted to Denver Children's for emergency heart surgery. Once he got there the news went from terrifying to heart breaking. Seemed like he was dealing with everything that could go wrong with a tiny heart. Long and risky surgery was Wednesday. Thank you to all who have been praying and offering support and resources! Today is Saturday and we are celebrating and I do mean CELEBRATING his 2 week birthday. Lakin is off all machines - breathing on his own- weened off all meds and his mom is able to breastfeed him! He is making a remarkable recovery! Thank you God! Last week I preached on Anne Lamott's 3 prayers Help,Thanks, Wow! Been praying the first 2 constantly. Today is a huge Wow! Drs are now saying he could be released within a week to go home. Preaching Luke tomorrow - on what is worth saving. This congregation has a tense and conflicted emotional history about money (like most I suspect) They are proud of their history as the Church of the Pioneers and yet reluctant to trust that they have a future worth committing to with their whole hearts. Like so many churches they believe if they just had more money and members they would not have to worry about the future. And yet- they really do already have all they truly need to generously share the love and grace they have been given. Time to get at it. God's peace preaching pals! What a great end to the story! Wow with you. WOW indeed! That is wonderful. Hugs and continuing prayers, Celeste. Nice to be able to say "Wow!" after all of that. You have encouragement to offer your new flock, and they are probably very eager to hear it. Perhaps Jesus, in his uniquely Jesus way, was trying to encourage his flock, too. I've got vacation brain in a big way. We leave Tuesday, so we're planning the route and what we want to do and how much to pack. We're cleaning house so the cat-tender won't think we live like pigs. We're prepping the garden so the weeds will be kept at bay for a week. And of course, my workload suddenly explodes - a long-distance hospital visit and a "emergency' premarital counseling session (the couple was scheduled to be married in a year, but found out they have a very a narrow window of opportunity to start a family due and wants to be married first - how refreshing!). And there's still the sermon. I'm doing the Lord's Prayer "thy kingdom come and thy will be done" and hearing the Luke and Ecces. readings in new light. Oh, Ramona! Vacation brain. Not fun for sermonizing. Lots of fun for vacay anticipation. Have literally just returned from a few days in Iona. Last night as we prepared to leave, someone asked me if I had to preach this week. I replied: yes, but I think I'll just tell them about my trip. However, thanks to someone else sharing the driving, I did get a start on the writing. And, as I reflected on the blessings of our visit to this Thin place, I realised that that simple rhythm of prayer that I found so healing DOES tie in with Jesus barn story, so just need to make those connections and I'll have something preachable. Giving thanks for the break and for bing able to share it in worship. Imagine--driving home from Iona! Glad you could have the break in such a special place. You can only take a group of 10 or 12 to Iona, according to Teri, so maybe there could be a field trip there someday. But not a Big Event. That's definitely remaining a shipboard thing. Other announcements for a variety of good things are coming, some very soon! Pulpit supply preaching tomorrow on Luke 12:49-56, "Jesus the Cause of Division" (On the lectionary for 8/18), but the congregation picked this text for themselves. Just need to feel not so alone with this very difficult text. I am exploring the idea of Jesus making a division between old and new creation (before the cross and after the cross). Many blessings, Amy, as you bring this word to a congregation bold enough to pick a difficult text. Sounds like an opportunity! Continuing to give thanks to Ramona and her tip that the Lord's Prayer could be a six week series beginning last week. This week is "Thy Kingdom Come, the will be done on earth, as it is in Heaven" which goes so very nicely with the vision of Jesus in Luke. With a bot of help from NT Wright's book, The Lord and His Prayer, this is coming along swimmingly. Liz - I am seriously hoping to get back to Iona in September of 2014 - it is a named goal - I was living vicariously through your fb posts last week. I've been reading Crossan's "The Greatest Prayer." I didn't realize Wright had a book on it too. The dangers of Amazon - my phone just dinged and now I have a kindle-copy. Way to easy to buy book. But thanks for the tip Amy! Best of luck (and best of the Holy Spirit) to those still typing!!! Wow. It took awhile to extract this one from my interior self and get it on paper. But I think I have a good enough draft that I can leave it for a bit before returning and tweaking it. Amy, you got a mention in Bishops House this week! I was surrounded by Episcopal priests from Minnesota, Iowa, New York City, so I shared that I knew some lovely priests in the Diocese of Fort Worth and then I told them about my other RevGalPals. Good times! Nice! It is a very small world of Episcopalians - we always know someone else who knows someone. Completely off my game and longing for community this afternoon. Graveside service for man who died a month ago; his family and about 50 people showed up, 50 people who have no connection with a church and were depending on me to do they knew not what. No music. No funeral home presence ($$$). Me, a box of ashes, and a hole in the ground. I tried to be friendly beforehand and warm during and to offer some Psalm 139 words of comfort about God's presence in the face of a death that was sudden and may have been an accident, may have been murder -- and all seemed to fall flat. A 2yo girl screeched the entire time, and I felt like an intrusive visitor from another planet. Now I have to go schmooze at a dinner and basket auction and pray that my sermon doesn't go as phhhhttttt as I feel. Robin, what a crappy deal. But you were the one who was there, in the face of it all, offering love and care and presence. Hope you find some grace filled space alongside the love and support of this community to take you from that place to wherever you need to be to schmooze and then to preach to Gods people. Grace and peace. Some days are like that, Robin. And we make it look like we have it all together, right? Your presence surely made it better than it would have been without you. Robin, been there, done that. It's a lousy place to be and it can be those experiences that make us wonder about our calling. Hugs, and remember that you may have planted a seed that you will never know has sprouted. Wondering what blessings they each took away with them...that you know nothing about...and likely never will. How powerful our presences. Well, I've pulled something together. Giving thanks for shorter summer reflections. We have a power cut here so finishing up and sending everything to kindle - it may be the only Devi e with power come morning. Storing up in barns? That divine sense of humour is in play again! House mostly restored to order, boys occupied, a few rounds of Pet Rescue Saga, bulletin done, and husband on his way home! Yea! AND I have a meditation (communion) developing using Rachel Hackenberg's prayer prompt from yesterday, which was on the Luke text! A seminary friend I had not seen since I graduated spent the night...wonderful...and their family is going through a very tough situation. Sermon finally on paper...it will need another read through and some tweaking...that's for later. Lots of pastoral needs at very small church...so was I really gone for seven days? Sunday morning, and rereading what I wrote last night, it looks like half a sermon with the church statement added to the end. too late to rewrite, hopefully the right words come as I preach. Just remember our saying: The Holy Spirit's got your back! Sometimes the sermons I think are the worst end up being just what someone needed to hear. go figure. so, trust your words, trust the Spirit. Here is the focal point of a story I will be using tomorrow. I printed this much (the best bit) in the bulletin in hopes that the folks I serve will ponder it. "Now you just have to take this [gift that I am offering you]. We want you to have it. We don't have much, that's a fact; but we ain't poor!" "What you can give something away, even when you don't have much, then you ain't poor. When you don't feel easy giving something away even if you got more'n you need, then you're poor, whether you know it or not." I accepted and enjoyed their gift and treasured that lesson in living. In time, I saw it as a spiritual lesson, too. Knowing that all we have is provided by the Father, it seems ungracious to doubt that our needs will be met without our clinging to every morsel. When I feel myself resisting an urge to share what's mine - or when I see someone sharing freely from the little he has, I remember Mr. Sheldon saying, "We ain't poor!" From the story by Florence Ferrier, "We Ain't Poor!" I love it - what a great truth! The story is about a social worker in poverty-stricken Appalachia. She was visiting the Sheldons - who were a large family in severe financial distress after a series of misfortunes. The help they received was not adequate, yet they managed their meager income with ingenuity - and without complaint. One fall day the social worker visited the Sheldons in their ranshackle rented house where they lived at the edge of the woods. Despite a painful physical handicap, Mr. Sheldon had shot and butchered a bear that strayed into their yard once too often. The meat had been processed into all the big canning jars they could find or swap for. There would be meat in their diet even during the worst of the winter when their fuel costs were high. Henri Nouwen once wrote, "We don't know we have something to give unless there is someone there to receive." love this. thank you for sharing it. Thank you for the prayers and encouragement, friends. Most of the time I am doing pretty well with all of this, and in the moments when I'm not, I rest on the prayers of others, knowing that they are holding me up to God's healing presence. I am trying to sort out, day by day, what is appropriate sharing and what isn't, and also what I feel like sharing, which may be different. I found Should I Share My Ice Cream at the library; it is perfect! Even better, I asked a retired school librarian in the congregation if she'd come read it at the family service, which is a fabulous way of honoring her gifts and taking care of my voice. Don't you love it when a win-win like that works out? Same here, Betsy...I had an eleven day hospitalization and a life threatening infection in 2006....it's a challenge to be vulnerable, let the congregation be part of it, caring for you, up to a certain degree...prayers for you from here, and I think your way into the text will be perfect. Yup, exactly what you both said! Jemma, I hadn't seen that book before, so I am very grateful for your mention of it. I love knowing that half a world apart we are sharing this! Just sitting back down to write. I had my usual Saturday morning shower inspiration, so I jotted down about 500 words that I could preach from. Since I tend to ramble, I'd really like a more cohesive manuscript. Still, it takes the pressure off. Which is good, because I'm behind schedule. The good thing about a garden is all the yummy stuff you can make. The bad thing about a garden is that you have to make the ymmuy stuff when the veggies are ripe - not when you have time! So, I have fresh gazpacho to share. Or if you're in a mood for italian, how bout a little pesto? My honey is coming down with what appears to be a nasty bug. I feel so bad for him - he was sick during our last vacation, and it looks like he might be sick this one too. I've already told him that we're not messing around - if he's worse tomorrow, we're off to the doctor! nope, still have vacay brain. So, due to a change of plans (the Methodists are coming to worship with us! fun! ), I am only preaching at the casual service and there is a baptism. So while the Luke text is awesome, I think I'm going to save it (it works great for a series I want to start in the fall on work and wealth) and instead sermonize on Colossians. Yes, Colossians. Crazy, I know. But I can't help thinking there might be some way to connect Colossians and baptism and the Scott Simon tweets about his mother's final days all together. Hmm. Semfem, I am preaching on Colossians 3:11 tomorrow. Glad to know I am not the only one tackling Paul tonight. Semfem and Megan, I am preaching Colossians too...although I kind of wish I'd gone with another scripture, but I just love the thought of a new identity in Christ....where what we are meets what we will be in God's future. Hoping that HS takes the sermon as what it is and moves it on to what it will be in God's future! Hurray for all Colossians preachers tonight! I so seldom preach the epistle that it feels weird. And I probably have too much of the Scott Simon stuff in there and not enough Christology. I'm also glad to know that there are others working with Colossians too, and I love the way you put that, Lea...what we are meets what we will be in God's future. We had homemade Sloppy Joes using a Rachael Ray recipe, and they were seriously delicious as well as chewable for my healing mouth. Now trying to get back to it and hoping the work I did earlier was in the right direction. Very yummy and yes, the right direction please. Going to take a look at the sermons that are up. Way to go! Alright, just getting to the sermon now, after three weeks' holidays. My life's been a hot mess of emotions and general craziness these past few weeks working through a thesis proposal, relationship stress, an Ojibway ceremony that lasts for 4 days, my first week back at work, and only a couple days ago having our landlord tell us that the house we're renting is being sold, and so we need to find a new place to live/move before the end of September (in a place with an extremely small rental market!). I hope your sermons are all coming together well! Way. Too. Much. Going on in your life! Wow, peace to you. Blogger ate another comment! Aagh! Peace be with you in the midst of all that. Sermon is up on the new church blog(as of today...and still a work in progress). I've been blogging anonymously and working on a new blog for me as well. Quite the party going on this Saturday night. A rare summer Sunday off for the supply preacher tomorrow. I've spent the day cooped up in the house with two preschoolers. Heat advisories all week, weekend, and into next week, so the only thing we'll be doing outside is swimming. I did get some sewing done, put together an easel (with preschooler assistance), and cooked supper. None of that normally happens on a Saturday around here, so it was relaxing in its way. There was an undercurrent of anxiety all day, which I finally realized was sermon stress! Guess I'm in the habit of preaching every week! Blessings to all of you. I'll be back with you next weekend. Just checking in because I miss you all! It looks like a hopping party. Not preaching because I am on VAY CAY SHUN! and looking forward to being in a church where I don't have to worry all the drama for a change ... probably going to my seminary field placement church, which I love. And then I am going for a walk on the High Line...if you don't know what that is, google it...it's really great. Hope you all have a great Sunday! "*See* you Tuesday for Lectionary Leanings! I have almost gotten something preachable here, so I'm about done for the night. Yawning and whining = time to put it to bed. All you late nighters and West Coasties, keep it going as long as you want. I just made fresh coffee and tea. I also put out a variety of Ben & Jerry's, because we do share the ice cream. Help yourselves! Many blessings upon each of you as you share Good News with your congregations tomorrow. Thank you for making today a delightful sermon prep day! Gratitude for those who weren't preaching this week and came by to encourage the rest of us. Give 'em heaven, and never doubt that the Holy Spirit has your back! The only thing standing between me and vacation is Sunday, and some catch-up-put-to-bed paperwork on Monday. Yay, yay, yay! I love that you are in disaster area, but don't know what disaster. worship is over fro teh day here. the sermon, I only preached the first half with some ad libbing. however .... towards the end of the sermon a woman fainted. I didn't realise, as she often has her head done during teh sermon. people sitting nearby called teh ambulance etc. low blood pressure, she is home and looking fine when I visited after worship. someone asked when we would hear the end of the sermon, it was the end .. so I guess that means I didn't really have an ending. Oh well. Believe me, pearl, there are Sundays when I've almost wished someone would faint during the sermon because I couldn't come up with a good ending for it. :) Glad your parishioner is doing OK.
Well, I'm here for a little while. I'm preaching Luke tomorrow and Dr Seuss. I'm using Yertle the Turtle. It's a tie-in with Dr Seuss goes to VBS. I'm hoping the reality turns out as well as the notes sound. Well, I am DONE with Colossians and calling it a night, relatively early for me! Going to print and then sleep. Prayers for the HS to visit those who need her! Blessings on all pondering, preaching, and proclamation this day. and I... am not preaching tomorrow. This "day off" idea is the bees' knees, truly. Strength to your arms, friends -- and your voice boxes -- and your perorations! Keeping in mind who has your back, as ever. 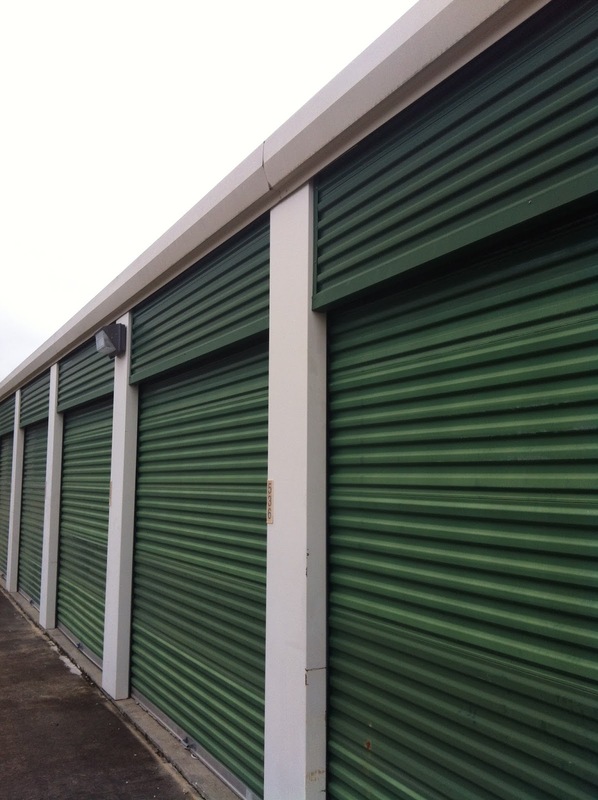 I think every enterprise should have websites for self storage units. This is the first step they should follow after starting business.